The Lewisville ISD Board of Trustees officially put more than 250 acres of mostly undeveloped land, the combined value of which is almost $40 million, up for sale at its regular meeting Monday night, Feb. 11. The board approved a resolution to allow for the advertisement and sale of 11 parcels of land all across the district, totaling at just over 254 acres. 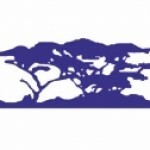 The board has been discussing the potential of selling more than 300 acres of undeveloped land for several months now, with most of the discussion centered around whether or not to hire a real estate broker or rely on in-house personnel. They eventually approved Cushman & Wakefield as real estate brokers last August. According to the Denton County Appraisal District website, the 11 parcels of land are valued at a combined $38.8 million. By far the most valuable of those parcels is 4667 Warmington Drive, the hook-shaped 28.49 acre field across the street from Hebron High School in Carrollton, which is valued at $11.7 million. This property’s value skyrocketed up from about $3.6 million in 2017. Most of the properties, including the one on Warmington Drive, are completely undeveloped and were purchased by the district over a brief span between 1999 and 2002, though one property goes all the way back to 1988. Chief schools officer Joseph Coburn confirmed that the ‘90s were a time of intense growth in the district, with more than 4,000 homes being built in Flower Mound and surrounding cities over the decade. Also included in the land sale are the old administrative center and natatorium on Timber Creek Road in Flower Mound and the special services center just east of Old Town Lewisville, which the motion refers to as underused facilities. Most district administrative functions have been moved to the LISD Administrative Center, formerly known as the Bolin Administrative Center, on the corner of Main and Garden Ridge. The board set guaranteed maximum prices for 20-year refresh projects of Timber Creek, Parkway and Degan elementary schools at $8.35 million, $8.075 million and $7.6 million, respectively. All of these projects were provided for by the 2017 bond package. Additionally, the board officially called for an election on May 4 to fill three of its seats, as required by state law. Trustees serve in staggered three-year terms. Board president Angie Cox, secretary Katherine Sells and Jenny Proznik will be up for re-election this year. The deadline to file to run is 5 p.m. this Friday, Feb. 15, and so far, all three are running unopposed. At the start of the meeting in closed session, the board discussed a contract extension for superintendent Kevin Rogers, which it approved at the beginning of open session. Details on that will be publicly available in a few days. In informational items, the board heard updates on the district improvement plan and the adoption of new instructional material for language arts classes running from kindergarten to eighth grade, as initiated by the State Board of Education. This will be the first update to language arts materials since 2010. The board also heard its annual child nutrition update. Aramark food services spokesperson Alisha McDonald spoke at length about the innovations taking place in LISD’s kitchens, including what she said was the first high-school sushi concept in the nation at Marcus High School, and “discovery days,” in which less common fruits and vegetables are brought into classrooms for students to try, often for the first time. McDonald also discussed several potential options for the future, including expanding the sushi program to other schools, offering scratch-made pizza that she said has already out-performed Pizza Hut in blind taste tests, and setting up a smoker at Lewisville High School so the district can make its own brisket. The board also heard an update on the Texas legislature, this one delivered by Kristi Hassett. Several members of the state legislature have listed school finance reform as a primary goal for this session, and Hassett said that was backed up when Gov. Greg Abbott announced that school finance, school safety, mental health and property tax relief would be emergency items this session. Hassett went into detail on budgetary and property tax relief bills, which would directly affect school funding. She described the potential of several billion dollars being funneled into schools from the state, but that money would come with the tradeoff of relieving property taxes, and little of it would actually be spent at school districts’ discretion. Hassett also noted that this funding appeared to be coming from other vital areas such as higher education funding and emergency services. Hassett said the legislature wasn’t focusing on school finance directly, instead trying to reduce property taxes while paying little attention to what those taxes are meant to pay for. 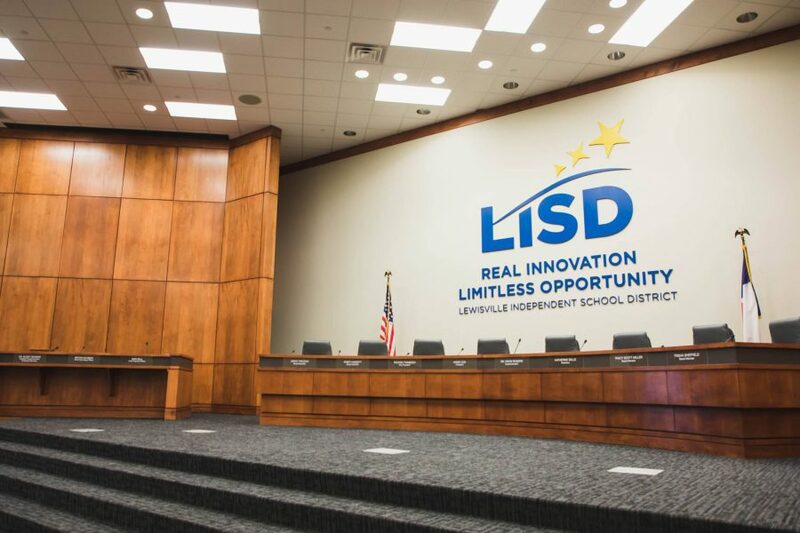 The LISD Board of Trustees meets at 6 p.m. monthly on Mondays, usually the second of the month, at the LISD Administrative Center in Lewisville, with frequent informational sessions in between regular meetings. These meetings are open to the public.